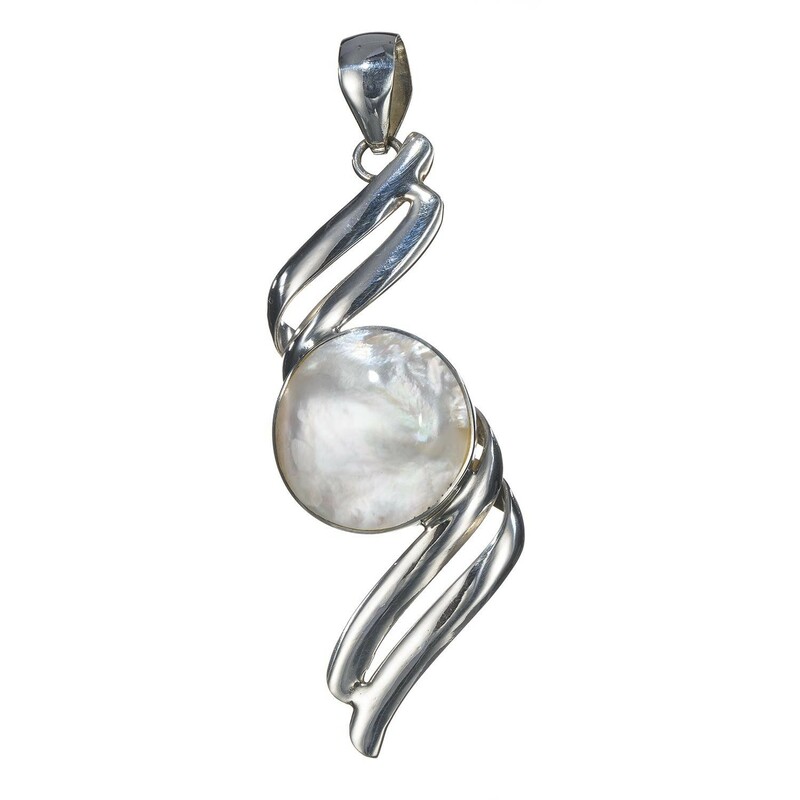 Pearl pendant: The Silver Spiral Twist With Mother of Pearl Pendant stands true to its name. Stylishly curved into a silver jewelry with large pearl imbibed into it gives a bold appeal. Mother of Pearl's energy sings the song of motherly love as it imparts the feeling of being cradled in a... Read more. Pearl pendant: The Silver Spiral Twist With Mother of Pearl Pendant stands true to its name. Stylishly curved into a silver jewelry with large pearl imbibed into it gives a bold appeal. Mother of Pearl's energy sings the song of motherly love as it imparts the feeling of being cradled in a loving mother's arms. This artisan jewelry is a real curvature to give a twisted look to your vanity.